According to the American Pet Products Association, nearly two-thirds of households in the U.S. today have a pet, usually either a cat or dog. And those who have them think they’re the “cat’s meow,” as in a recent Harris Interactive poll, Americans overwhelmingly consider their four-legged friends to be members of the family. It’s important for families to pet-proof their homes so that their pooches and felines are safe and stay out of trouble. Naturally, some dogs and cats are more playful than others. But pets of all types can cause mischief, no matter how young or old they may be. As a result, it’s smart for homeowners to eliminate as many items from the floor as possible that they can get into, potentially damaging the house or hurting themselves if they eating or ingest something they shouldn’t. For example, as a general rule, pets and plants don’t do well together. Before purchasing a plant, look up information on it online to see if it’s toxic to dogs or cats. Christmas may be several months away, for instance, but the plants that are traditionally around at this time of year – poinsettias – can be potentially deadly to pets. In short, ensure that any plants that are on the floor are removed so that dogs and cats can’t access them. Other tips pet experts recommend include securing all toiletries, hiding trash cans and eliminating potential temptations before leaving the home. For instance, if a dog or cat has a penchant for tearing paper, be sure to place magazines or paper towels in a cabinet or as far away from the edge of the countertop as possible. 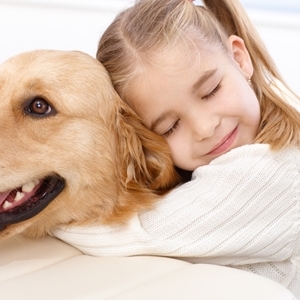 Though nothing can replace the love owners have for their pets, individuals may be surprised as to how much of a liability risk their furry friends can be. According to the Insurance Information Institute, one-third of all homeowners insurance claims in 2011 were related to dog bites.